Sangria is one of my favourite summer drinks! It's easy, so yummy, refreshing, and great for serving a large group. When I make sangria I go to Trader Joe's and buy their $2.00 Charles Shaw Wine, I find that once you add all your mixins you really can't tell if your drinking good or cheap wine! 1. Green Apple + Lemon // This recipe is super fresh, and not too sweet. I recommend this one for a super hot afternoon on the patio. In a pitcher full of ice add one bottle of chilled white wine, 1-2 cans (to taste) of La Croix Sparkling Water in Peach Pear flavour, 2 sliced apples, and 1 lemon sliced into rounds. Stir well to get all the flavours mixed in. 2. Pineapple + Cantaloupe // A sweet & tropical tasting mix, very refreshing. In a pitcher full of ice add one bottle of chilled white wine, 1 can of Club Soda, Pineapple Juice to taste, a handful a both pineapple and cantaloupe cut into triangles. Stir well. 3. Orange + Lemon + Grapefruit // Fresh citrus flavour contrasts well with the red wine. In a pitcher full of ice add 1 bottle of red wine, 1 can of San Pellegrino Sparkling Pomplemo (grapefruit) Soda, 1/2-1 bottle (to taste) ginger beer, 1 lemon, 1 orange, and 1 grapefruit all sliced into rounds. Stir Well. 4. 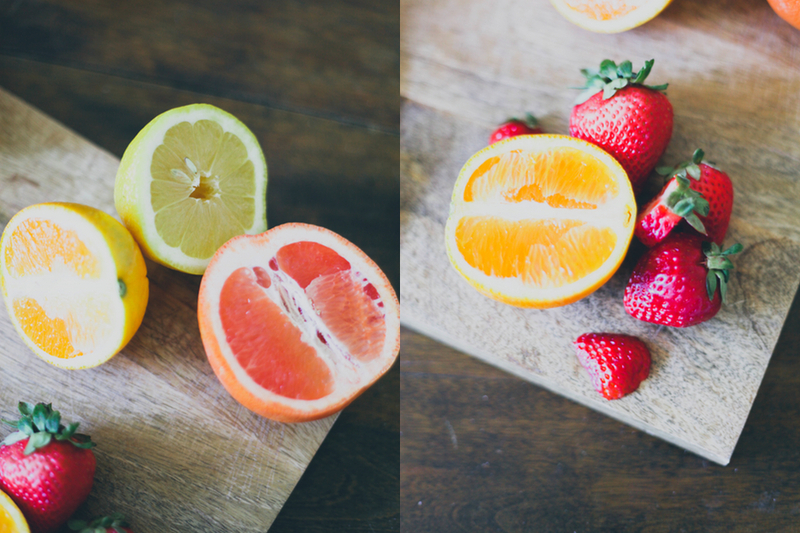 Orange + Strawberry // This one is berry good! ;) In a pitcher full of ice add one bottle of red wine, Raspberry Ginger Ale and Orange Juice to taste, 1 orange sliced into rounds, and 1-2 handfuls of sliced strawberries. Stir well, using to spoon to smash up some of those strawberries for extra flavour.